GET OUT OF THE DIET TRAP!!. If you stopped a random person in the street and asked, what should I do to lose weight? They would most likely say go on a diet. Often, it’s the quickest way to feel some control over your eating, but should you go on a quick fix diet in order to lose weight?. You may of already have experienced this first-hand, when you’re feeling out of control with your eating, food is all you can think about, when you’re not overeating, all you think about is gaining back some control it’s a vicious-cycle of misery! I know Logically, it seems to make sense to cut back your food intake, to skip meals in order to lose weight, this seems to be our current societies solution & answer to soaring obesity rates and despite this cultural obsession with the “diet mentality” within our society, evidence shows us that diets actually don’t work and that our continued unhealthy obsession with this method of weight loss hinders the healing process of learning, to make peace & to have a healthy relationship with food and eating, to learn what your body is truly craving. Fact Ninety-eight percent of all dieters regain their weight within five years and ninety-five percent within two years. Recent Studies conducted by Harvard medical School have also shown that constantly losing and gaining weight is MORE harmful to your health & wellbeing than remaining overweight. Constantly restricting your food intake is sure to lead to a binge and/or emotional eating & rebound weight gain & poor health sooner or later. 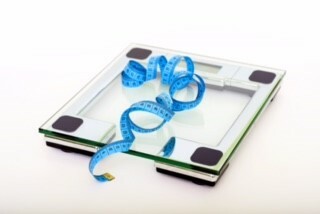 Whilst I believe Structured “diet” plans can be helpful to kick-start motivation they tend to feel depriving and restricting at some point and they disconnect us from our inner wisdom. What makes many people tend to be overweight is not that they necessarily eat so much more, but that they get a higher percentage of their calories from refined carbohydrates and saturated fat, or from mostly low-nutrient dense foods coupled with a sedentary lifestyle. This may stem from a lack knowledge and education in how to have a healthy relationship with food. The notion that people gain weight just because they consume a large amount of food is a myth. Eating the amounts of the right foods in appropriate consumption is an important component to successful weight loss but so are adopting healthy habits more emphasis needs to be directed in the area. Many of the people I work with have been chronic, life-long dieters and even if they are happy with their weight and not currently dieting, they have difficulty giving up this unhealthy obsession with diet mentality. When I say “diet mentality” I’m talking about the use restrictive low calorie eating plans, good and bad foods, cutting out & demonising food groups, I’m also referring to the deeply ingrained thoughts and habits related to controlling your food intake and body size & image. And If you think about it, it makes sense many of us think this way we were raised in a culture where we were encouraged to weigh and measure our food, our bodies and count calories, carbohydrate, protein and fat grams daily, bombarded with bad choices constantly conflicting advice, ridiculous diets, unrealistic images promoted in glossy magazines and on TV endorsed by high-profile celebrities, So I get that! And of course if you have excess weight, you want to lose it as soon as possible. WHO DOESN’T! Want to lose it fast!!! This current outdated mentality clearly does not work! It really is time to ditch the diet! The good news is that when you “ditch the diet mentality” and adopt sensible eating and address your eating habits you can learn stop your overeating, retrain your brain to eat to fullness, and lose the weight you want to lose, without going ever going on another quick fix diet, in time learning to enjoy the foods you love in true moderation, all things I encourage & teach as part my coaching course. Healthy is a lifestyle not a diet! "Dietox" The 12 Week Anti Diet weight loss coaching course - Be free from diets!